Even casual observers of US space history know the unfortunate story of Gus Grissom. He’s the astronaut who accidentally blew the hatch off the Liberty Bell 7 spacecraft, causing it to fill with seawater and sink into the depths of the Atlantic Ocean in 1961. Or so we thought. Until his untimely death in 1967, Grissom insisted he wasn’t at fault. And now, a new book -- 55 years after the fact -- lends support to his claims. Calculated Risk: The Supersonic Life and Times of Gus Grissom by George Leopold, uses extensive research to show that Grissom never panicked, and that the unfortunate “hatch-blowing incident” was caused by electrostatic discharge, not human error. 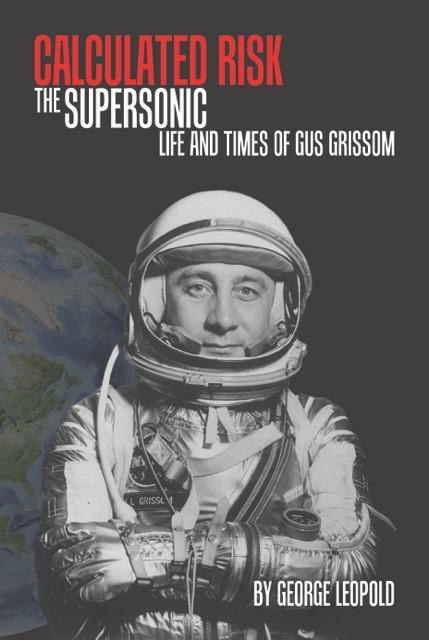 Calculated Risk: The Supersonic Life and Times of Gus Grissom by George Leopold, uses extensive research to show that Grissom never panicked, and that the unfortunate “hatch-blowing incident” was caused by electrostatic discharge, not human error. For those who know the history, the book is a breath of fresh air. Until now, movies and literature have depicted Grissom as a primitive, inarticulate bumbler who refused to admit his mistake. Tom Wolfe’s The Right Stuff and the movie by the same name failed to mention, however, that Grissom had earned a mechanical engineering degree from Purdue University and an aerospace engineering degree from the US Air Force. Calculated Risk shows Grissom to be a smart, driven engineer whose greatest “fault” was that he shunned the limelight. It describes him as a “grinder” -- a practical, hard-working pioneer who cared more about national pride than about White House festivities. To say that Calculated Risk is a good read is an understatement. It’s a bookshelf-must for every engineer and NASA buff. To be sure, though, it isn’t all happiness. The book details Grissom’s tragic death during a 1967 NASA test procedure, which makes for painful reading.